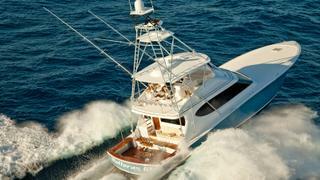 Described as "tournament ready", the Hatteras GT70 is one for the serious sportfishers. It "thrives" at 40+ knots and excels in the "kind of serious chop that makes other boats reluctant to venture out at all." 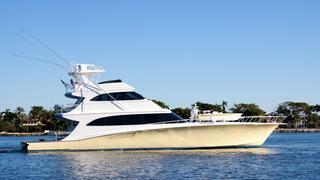 The 21.35 metre yacht is ready for the chase with twin Cat C-32A 1,926hp diesel engines. 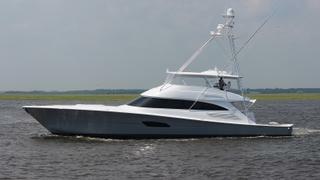 With a variable dead-rise hull design, the Hatteras GT70 is built to excel in the most challenging of conditions. Meanwhile, the high gloss teak interior accommodates 10 guests in five generous staterooms. Launched by Jarrett Bay Boatworks in December 2017, the 27 metre Jaruco has become the first sportfish ever to be recognised as a finalist in the 2019 Boat International Design and Innovation Awards. Featuring ultra strong and lightweight titanium propeller shafts, and capable of carrying over 4,000 gallons of fuel, Jaruco has the range and speed to reach the most remote fisheries in the world. As Jarrett Bay founder Randy Ramsey said: "Probably more research and development man hours went into this boat than any other sportfish in the history of our sport." The 28.8 metre Sea Force IX 94.5 Luxury Performance Sport Yacht is designed to get you to the fish first. 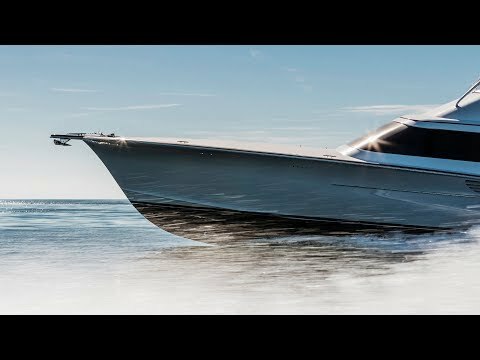 Powered by twin 2,600hp MTU 16V 2000 M94 engines, the yacht is capable of reaching a top speed of 36 knots. The GRP constructed yacht features interiors designed and built bespoke for each client and has enough space for the whole family. Accommodation is for nine guests across four cabins comprising a master, VIP stateroom, double cabin and twin. 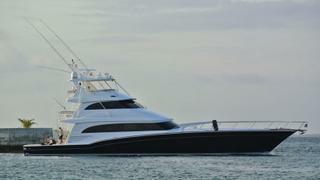 There is also space enough for three crew, ensuring a luxury fishing experience. Available in open bridge and enclosed bridge configurations, Viking's 28 metre flagship blends plush interior spaces with serious sportfishing capability. Equipped with dual mezzanine decks, the yacht features an outside galley and al fresco BBQ, meaning your catch can go from the sea to the plate in a matter of minutes. A total of 12 guests can tag along for the ride, with all six staterooms equipped with their own private head and shower. The spacious master suite, meanwhile, has a kingsize walk-around bed, walk-in closet, private bathrooms and a dressing room. The 32 metre sportfish yacht Marlena from Jim Smith Yachts is thought to be the biggest sportfish yacht out there built entirely of wood. Traditional build methods don't slow her down though – Marlena is also one of the fastest on the list of best sportfish yachts, reaching a top speed of 39 knots and cruising at 27. With naval architecture by Donald Blount and Jim Smith, she rides on a proven hull. Marlena accommodates nine guests in an interior by designer Elizabeth Dalton.